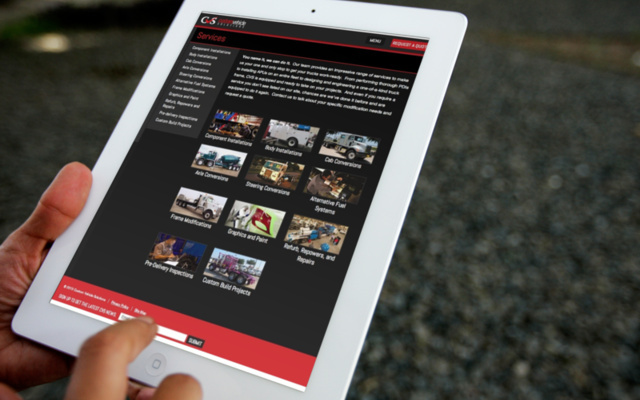 With its truck modification services gaining momentum, Rush Enterprises contacted nFusion and The BHW Group about partnering to create a website for Custom Vehicle Solutions. It was important that the new website was aesthetically-pleasing, accessible across a variety of devices, and heavy on search engine optimizations. Through my role as project manager, I led the development process through the initial build, quality assurance testing, user acceptance, and launch. I served as the key integration point among all organizations involved, crafting weekly status reports and running weekly phone calls. The launch Custom Vehicle Solutions' website increased lead volume more than 600% in 2013, without the use of any paid advertising.